Some documents linked from this page may require Adobe Acrobat PDF reader. 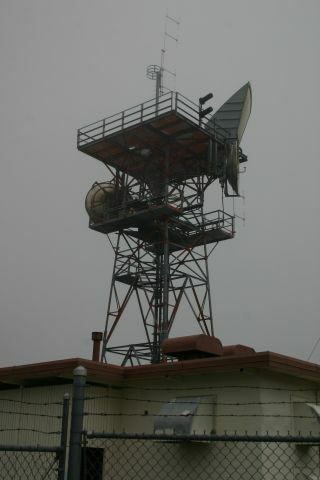 The other end of the special Sinclair SRL307RCHD*2 stacked helical array antennas is located here at Merritt. In the photo above is an excellent photograph of the array. These are the two "tophats" at the top of the tower. The antenna altitude above sea level is: 1739m or 5705 feet. Originally, there was a UHF drop here as well as VHF. 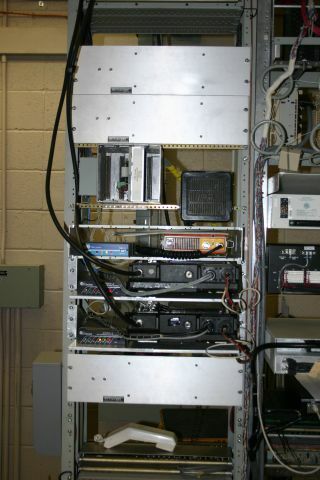 The UHF drop was going to be used to connect to Rob Dover, VE7EJE's network. 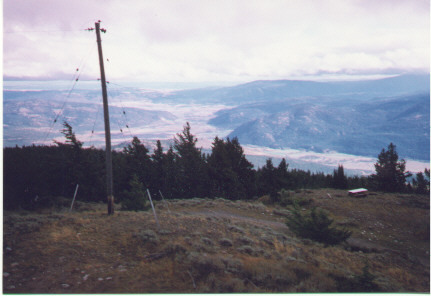 However, a year and a half later it was decided to end the TPARC network near Kamloops. Rob Dover had his site not 100 yards away from our site there. This allowed us to offer a VHF drop into the Kamloops area, as well as to hand off to Rob. Our Merritt site now offers only the VHF drop. UHF was not included due to the low population and the feeling that VHF would carry farther in this mountainous region. Areas such as Merritt and Logan Lake are part of the coverage area. Weather is a factor in the winter. Access in limited to a bulldozer or helicopter in the winter. 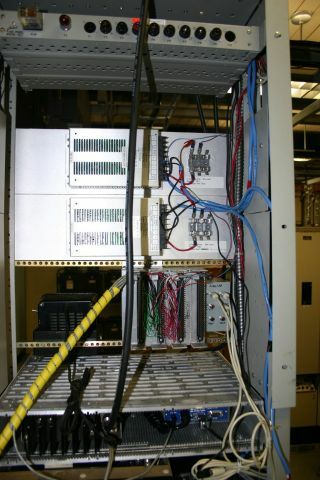 The VHF antenna is a SRL210-C2 located on the middle deck of the tower. The stacked array is for the West Trunk that faces Hope (Dog), and there is a Scala antenna for the East Trunk facing Greenstone. 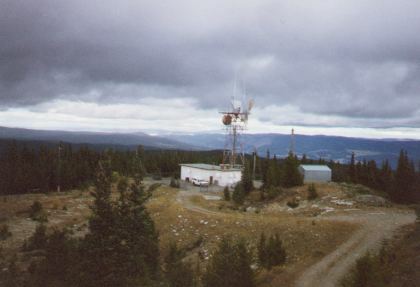 This photograph was taken from the old ranger station 250 meters from the radio site (now demolished). Merritt lies just below and to the left of the photograph. Facing north now, you can see the radio site also taken from the ranger station. The city of Kamloops is just over the horizon left of the tower. The weather this March day was very cloudy and windy.